Melanie Griffith. Photo by Joe Pugliese. 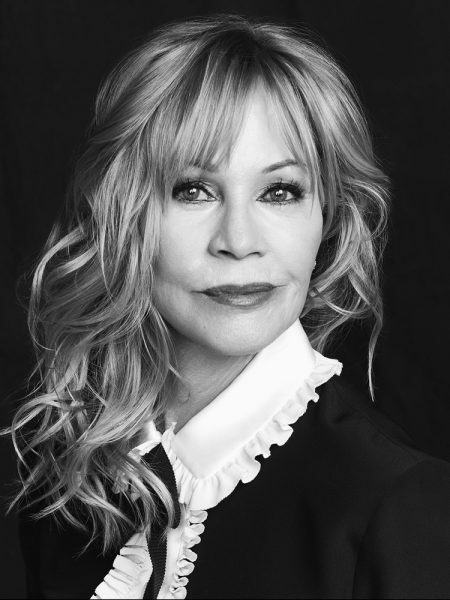 Actress Melanie Griffith is cast as Mrs. Robinson in the upcoming production of “The Graduate” at Laguna Playhouse, which opens Sunday, March 4. The show, adapted by Terry Johnson, is based on the novel by Charles Webb and the screenplay by Buck Henry and Calder Willingham and is directed by Michael Matthews. Cast opposite Griffith is Nick Tag, who inhabits the character of Benjamin, a college graduate ambivalent about his future. An unexpected diversion crops up when Mrs. Robinson seduces him. Along the way, he finds himself falling for her upbeat and optimistic daughter. The show will run through Sunday, March 18. Tickets range from $86 – $101 and can be purchased at lagunaplayhouse.com or by calling 949-497- 2787. Bare Bones Theatre plans two upcoming original readings, Stephen Spotswood’s “Girl in the Red Corner” and a new musical by Jason Feddy. Spotswood’s reading on Tuesday, March 6, features a girl who learns about life after signing up for a martial arts class. “In Search of Silvia, Or What Goes Awry When Fools Fall in Love,” on Tuesday, April 3, features music by Feddy, lyrics by Will Shakespeare and a book by Bare Bones’ founder Lojo Simon. Tickets are now available for South Coast Repertory’s annual Pacific Playwrights Festival in April, which includes five staged readings and two full productions. Tickets for the two full productions range from $23-83. These are “Shrew!” from Amy Freed and “Little Black Shadows” by Kemp Powers. Tickets for individual readings are $18 and a package to see all five readings is $75. South Coast Rep is located at 655 Town Center Drive in Costa Mesa. Tickets are now on sale for the 21st Annual Doheny Blues Festival, May 19-20. The festival will feature three alternating stages of music, food and beverage offerings and a vendor promenade offsite at Sea Terrace Park, Coast Highway and Niguel Road in Dana Point. Prices range from $140 to $475 and can be purchased at: www.dohenybluesfestival.com.